The Hamster Cage on the Night Before Christmas. If you do not believe in chance, this story will probably change your mind. 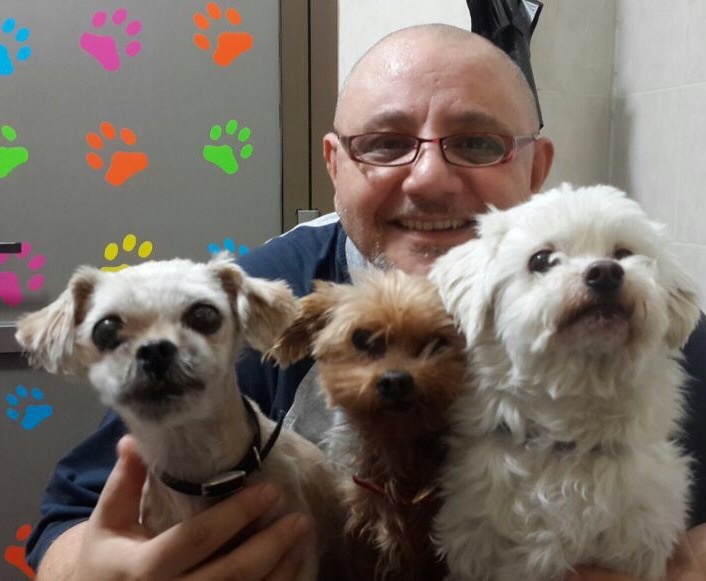 Coming back from his work the night before Christmas eve, Chadi, an animal lover, decided to take a different road. As he was driving, he caught sight of a dirty cage with some sort of creature moving inside it. Chance in the hamster cage where she was found. 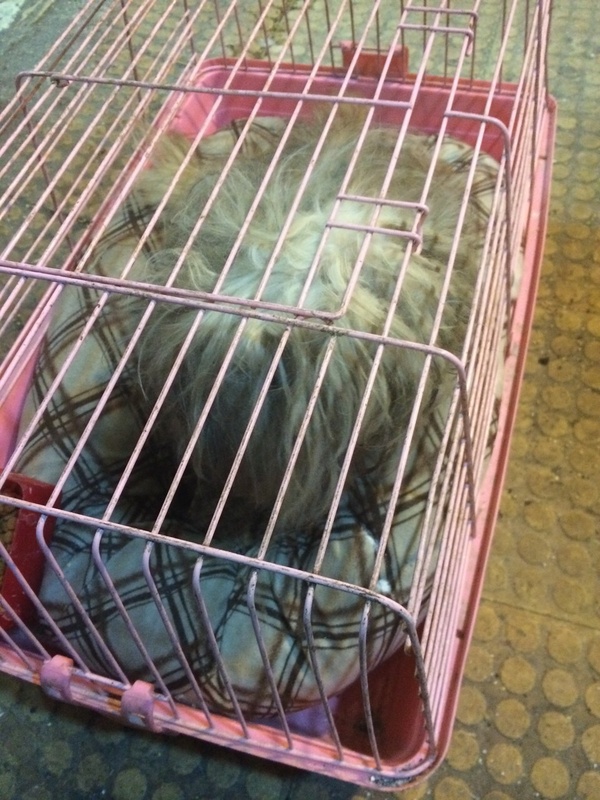 On the sidewalk, right in front a pet shop this neglected dog was left suffering. He stopped and tried speaking to the shop owner. He was told that the animal got loose a few days back and got hit by a car. She was now destined for breeding. It was also time to close the shop and the conversation was quickly coming to an end. 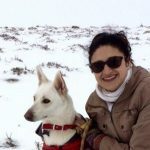 In a country like Lebanon where animal welfare laws virtually do not exist the only chance of rescue lied in the man willingly surrendering the dog. But the conversation was just not going well. Suddenly, there was a lot of noise. Coincidentally, the police happened to be raiding an apartment in a building right next to the pet shop. So suddenly Chadi and the shop owner were both blocked inside the shop while the police finished their work for the next hour and a half. Plenty of time to talk to the owner. First time out of the cage. The dog was named chance. And after a visit to the vet, she was diagnosed with a broken shoulder and leg. She was also infested in fleas and had worms in her stools. Chance is currently recovering and looking for a foster home and an adoptive family. 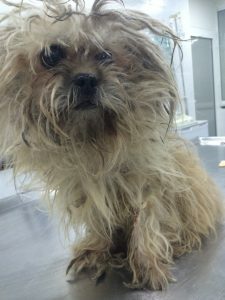 She has been treated for fleas, groomed and dewormed. 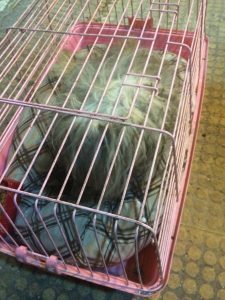 Had Chadi not changed his route and had the police raid not taken place, she would probably still be in the cage where she was found. Please help Chance by spreading the word about her case. She is in need of a permanent home to call her own. For more information, please contact her rescuer (Chadi) at the following numbers: 79 187322 (from Lebanon) or 0096179187322 (internationally). Chance (to the left) With Chadi, her rescuer and his dogs. 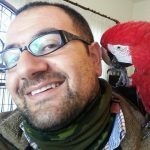 Chadi is an animal lover and is also the founder of the group Parrot Club of Lebanon, he also owns a small show in the Furn El Chebbak area called Bridville2 where you can find all sorts of quality items and accessories for your birds. People are sick… And stupid and irresponsible. A nation that doesn’t respect its nature and animal cannot respect herself. Shame on them! And Well done Chadi!